Want to gain some daily interesting knowledge? 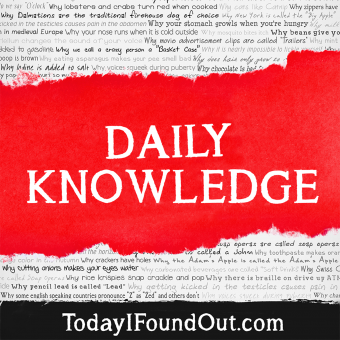 Today I Found Out offers a free “Daily Knowledge Newsletter” and a free “Weekly Wrap” to help you feed your brain, currently with about 41,000 active subscribers. 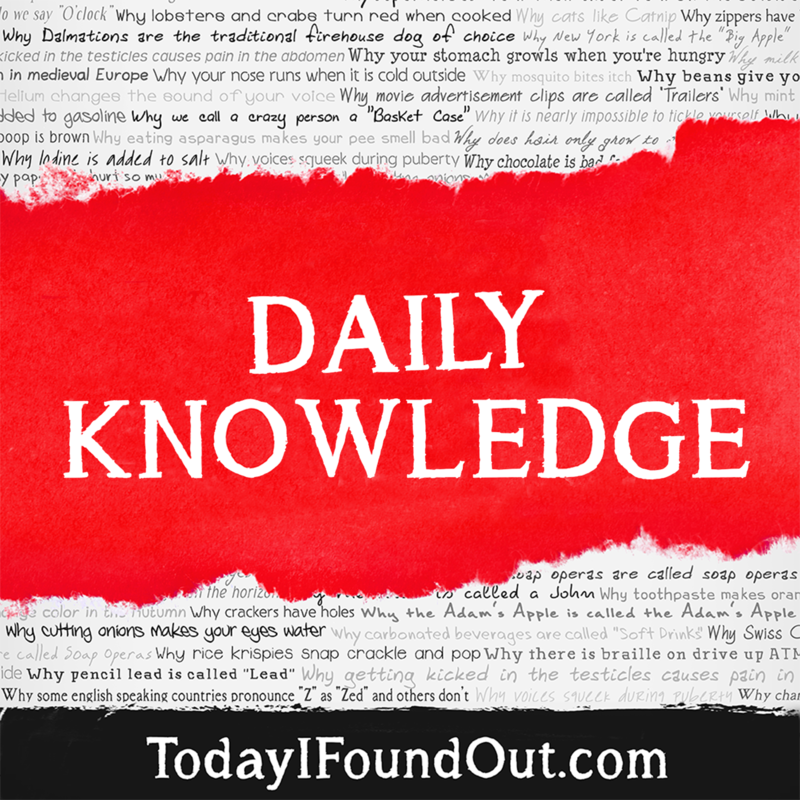 If you subscribe to the “Daily Knowledge Newsletter”, you will get one free “interesting fact” detailed article on a variety of subjects every weekday. Examples of topics include that carrots were predominately purple before the 17th century; Abraham Lincoln established the secret service on the day he was assassinated; the author of Mary Had a Little Lamb also is the reason the United States has a national Thanksgiving holiday; why we sing Auld Lang Syne on New Years Eve; and many, many more (to date covering over 1,000 interesting topics since we started the newsletter portion of Today I Found Out). You never know what topic you’re going to get on any given day in our newsletter, but I think you’ll find it’s always extremely interesting, and covers details you won’t find in most interesting fact style newsletters. Another thing that sets our newsletter apart is the level of accuracy you’ll find. Today I Found Out was founded partially because of the lack of accurate “interesting fact” websites out there, and we maintain that same passion for accuracy in our newsletter as well. So that’s the Daily Knowledge version. What about the Weekly Wrap? If you subscribe to the Weekly Wrap version, you’ll get one email per week covering the best of Today I Found Out‘s “interesting fact” articles, for your reading pleasure, along with Bonus Quick Facts. You can see an example of what this looks like here. Subscribe to one or both today and never again be want of something interesting to say at office watercoolers and cocktail parties the world over! I’d love to know more about astronomy . I signed up for your newsletters but each email I get is blank! @Margo Kosmala: This happens by default with Lycos emails. Despite my sincerest efforts, I’ve never been able to find a way to fix it. Essentially, there is something they don’t like about my newsletter, but it’s a mystery what. Apparently if you dig into it a bit in Lycos when trying to view the email, it will say something like “Unsafe script detected” or something to that effect. As such, they won’t load the content of the email. There are no scripts in my emails though. However, there is a way to fix it on the user end. I was told by someone who uses Lycos that there is a way in Lycos to tell it to display the email anyway and to fix it permanently by marking the sender as a safe sender or something to that effect. Then it will show up OK for you. I promise there is nothing in my newsletter that is bad. It’s just some HTML for display purposes and text for your reading pleasure. I don’t even have any ads in it. i appreciate your daily knowledge. Is the daily newsletter only once a week now? I’ve only gotten one per week for a while now. Haven’t received your newsletters for several weeks… and only got them once to twice a week before that… Is this normal? Thanks.